If it can be framed we’ll frame it! As members of the Fine Art Trade Guild, with two Guild Commended framers, the staff at House of Frames are dedicated to carry out all aspects of bespoke picture framing to the highest standard..
We follow the guidelines and principle of framing set out by the Fine Art Trade Guild. 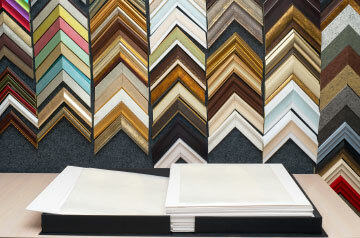 Different levels of framing are available to meet our client’s individual needs. For more detailed information about Fine Art Trade Guild standards please click on this link. We have over 100 different mouldings in stock and can offer a speedy reliable service with all our framing work carried out on site. We also provide a delivery and fixing service for all our customers. 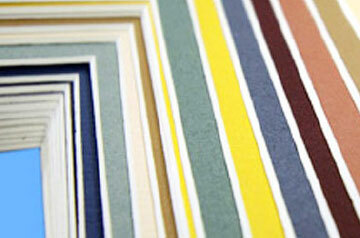 At Swansea Fine Art Printing we aim to meet the printing requirements of all our customers. 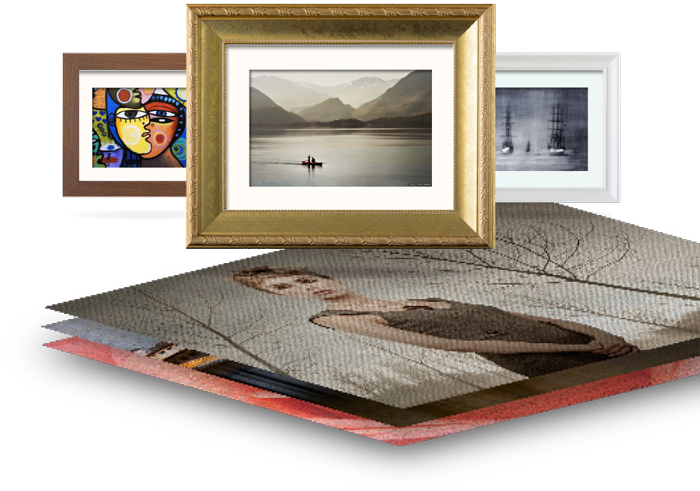 This can range from archival Giclee prints which meet the standards set by the Fine Art Guild’s ArtSure scheme, suitable for artists and photographers wanting to produce single or limited-edition prints; to excellent prints on award-winning photo paper, suitable for general printing where quality is still an important factor. Although quality is our major concern, our prices are competitive, please check them out on our Swansea Fine Art page. As members of the Fine Arts Trade Guild, with two Guild Commended framers, the staff at House of Frames are dedicated to carry out all aspects of picture framing to a high quality standard. All Guild Commended Framers have passed a rigorous exam, administered by the Fine Art Trade Guild, the industry’s trade body. You can choose how much or how little you want to safeguard your picture. I have huge admiration for the standard of your workmanship and vision but more importantly your support to the projects I've been involved in has simply been second to none, I am so very grateful to you both and with the most sincere words I would like to just say: Thank You! House of Frames is situated within easy reach of the M4 motorway and Swansea City Centre.